Canadian officials have thwarted a terror plot that envisioned derailing a train in Toronto, and multiple sources say that Amtrak trains out of New York City may have been scouted by the suspects. 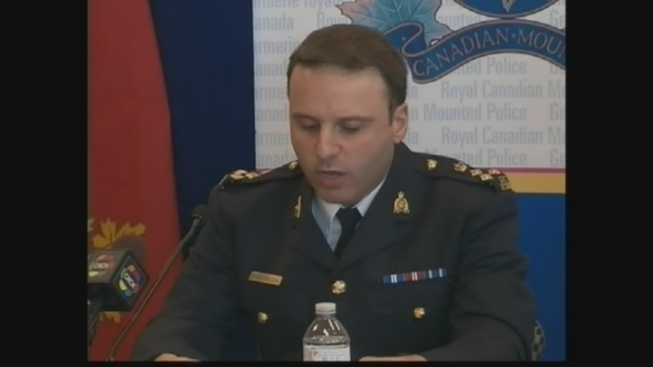 The Royal Canadian Mounted Police announced the arrests of two men in what they said was an "al-Qaida-supported" plot on Monday. The men arrested are not Canadian citizens, but officials declined to discuss where they are from. They were receiving "direction and guidance" from al-Qaida "elements" in Iran, authorities said. Officials stress the suspects were under surveillance for more than a year and that there was never any threat to public safety. They say the attack was "in the planning stage" and was not imminent. The plan involved targeting the railway that is operated by Via in Canada and Amtrak in the U.S.
New York-area commuters like Jason Rivers said they take the threat seriously. "I'm always concerned," said Rivers at Penn Station. "I live in New Jersey, but every day I come through here. You just never know." "Unfortunately, the country's a little bit on edge about what's going on, so I think it's natural that everybody be concerned," said another commuter, Michael Milch. Amtrak said it was working with authorities. The investigation began in August 2012.